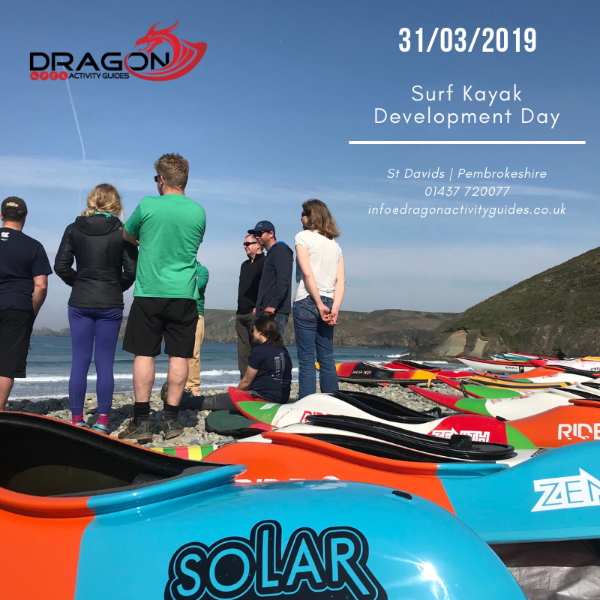 Surf kayak development day in St Davids Pembrokeshire. A full day of coaching and learning new skills no matter what ability you are. We also have a large range of surf kayaks available for you to try out! Followed by a BBQ in the evening! £35 per junior (Under 18) Including food. £55 per adult including food. Meet at our office at our office at 9am. For more information or to book, please call or email us!